CES 2011: Stuff and What Hi-Fi? Sound and Vision sign exclusive deal | What Hi-Fi? Haymarket Consumer Media's market-leading consumer electronics and home entertainment brands, Stuff' and ‘What Hi-fi? Sound and Vision', are proud to announce an exclusive collaboration with the Consumer Electronics Association (CEA)® to become the Official International Media Partners of the 2011 International CES, the world's largest consumer technology tradeshow. 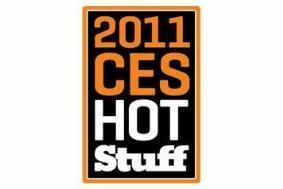 The 2011 CES Hot Stuff Awards will be included in the official CES awards programme and reported on stuff.TV and across the magazine's 29 international editions, reaching two million consumers each month. What Hi-fi? Sound and Vision will also be covering all the best in TV, hi-fi and AV across CES, including hosting a dedicated room in The Venetian, at the heart of the show's high-performance audio exhibits. OK, official news over. What this means for you is more news, video and access to the new products and technologies that count, via the most extensive coverage we've ever been able to offer. Look out for a new, dedicated area of the website to come!